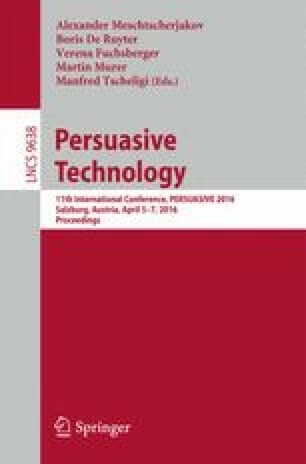 Current approaches to design motivational technology for behavior change focus on either tailoring motivational strategies to individual preferences or on implementing strategies from behavior change theory. Our goal is to combine these two approaches and translate behavior change theory to text messages, tailored to personality. To this end, we conducted an online survey with 481 participants exploring the relationship between behavior change theory (the Transtheoretical Model) and personality in the context of physical activity. Our results show that (1) people’s personalities correlate with their stage of change and (2) people’s personalities and their stages of change correlate to preferences for certain processes of change. We discuss the implications of the results for designing motivational technology. This research was funded by COMMIT/ and is part of the P3 project SenseI: Sensor-Based Engagement for Improved Health. We would like to thank Maartje de Graaf for her input.